Whether you have Astigmatism or wear Bifocals, we can help fit you with a comfortable and appropriate set of contacts to fit you. 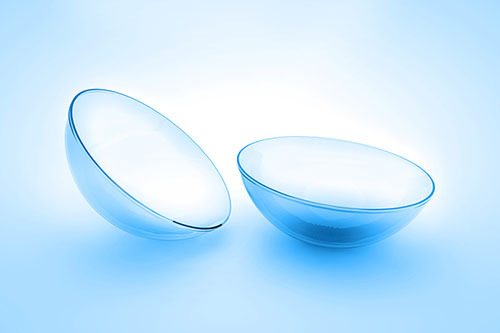 We carry a wide variety of lenses from manufacturers such as CooperVision, Bausch & Lomb, Ciba and Acuvue. Having a wide selection of lenses allows us to fit you with the lens that is the perfect for for you! For your convenience, you can order and pay for your contact lenses online! If you haven’t previously registered, click here to register. If you are already registered, simply enter your username and password in the fields provided after clicking on the Order your contacts online now button below. We also carry Acuvue with Hydraclear, Focus Night and Day, and Prevision Multifocal contact lenses. CooperVision – CooperVision’s dedication to contact lens design, materials and manufacturing excellence enhances the wearing experience of contact lens patients the world over. CooperVision concentrates on all day wearing comfort in the widest variety of lens designs, materials and wearing options. Bausch & Lomb – PureVision® – the latest soft contact lens – offers enhanced optics, providing exceptional clarity regardless of your vision correction needs. PureVision is also the first family of silicone hydrogel lenses made of AerGel™, a unique material designed to deliver extraordinary comfort and health. Paragon CRT – Did you know that there is a non-surgical alternative to vision correction that eliminates the need for contact lenses and eyeglasses during the day? It is called Corneal Reshaping Therapy: A rigid lens is worn overnight and removed in the morning. The overnight correction lasts throughout the day and sometimes for even longer.